A number of young motorists involved in a recent multi-vehicle, head-on car accident in Foxborough were injured. Four people total, including three teens, were seriously injured after their car collided with another one as it tried to make a left-hand turn at the intersection of Pierce and Main Street. According to Wicked Local, the teenagers were on their way to a baseball game in Franklin when the accident happened. The teens were in two separate vehicles and were following one another to the game. Two of the teens were taken by helicopter to the hospital. One of the teens had to be rescued from the vehicle with the Jaws of Life. The last motorist injured in the accident was taken to the hospital via ambulance. “We were all following each other, he wanted to keep up with him,” said one of the teens involved in the accident. “He cut somebody off and went head on with him. According to the National Highway Traffic Safety Administration (NHTSA), there were more than 1,960 teen drivers killed in car accidents across the U.S. in 2010. 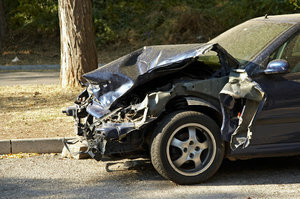 In addition to those who were killed, there were another 190,000 teen drivers who were injured in these same incidents. Our Foxborough car accident attorneys understand that teen drivers have some of the highest rates for accidents in the country. These crashes continue to be the number one cause of death for this young age group year after year. As we continue through the summer travel season, teens are urged to be careful on our roadways. With more motorists out, the risks for car accidents increase significantly. In the state of Massachusetts, there were more than 50 teens killed in car accidents in 2010. Of these fatalities, more than 20 were of teen drivers, more than 10 were the passengers of young drivers’ vehicles, more than 10 were occupants of other vehicles and the last 9 were of nonoccupants. Parents and guardians are asked to take the time to talk with these young, inexperienced drivers about the dangers lurking on our roads. Teen drivers should avoid driving during the evening hours. Luckily, in the state of Massachusetts teen drivers are prohibited from driving between 12:30 a.m. and 5:00 a.m. while they have a restricted license. Unfortunately, between 12:30 a.m. and 1:00 a.m. and 4:00 a.m. and 5:00 a.m. night driving restrictions are secondarily enforced. Because of this relaxed enforcement, parents are asked to step in and to make sure that teens are abiding by all road laws, especially the ones in the teen’s graduated driver’s licensing (GDL) program. If you feel your teen needs tougher laws, go ahead and enact them. Consider creating your own parent-teen contract to set up household laws for your young driver! In addition to nighttime restrictions, you can also consider enacting passenger restrictions. The more passengers that are in your teen’s vehicle the higher the risks are for an accident. Boston Injury Lawyer Jeffrey S. Glassman offers free and confidential appointment to discuss the cases and the rights of accident victims and their families. Call 877-617-5333 today to schedule your free appointment today.